20:00 hour. 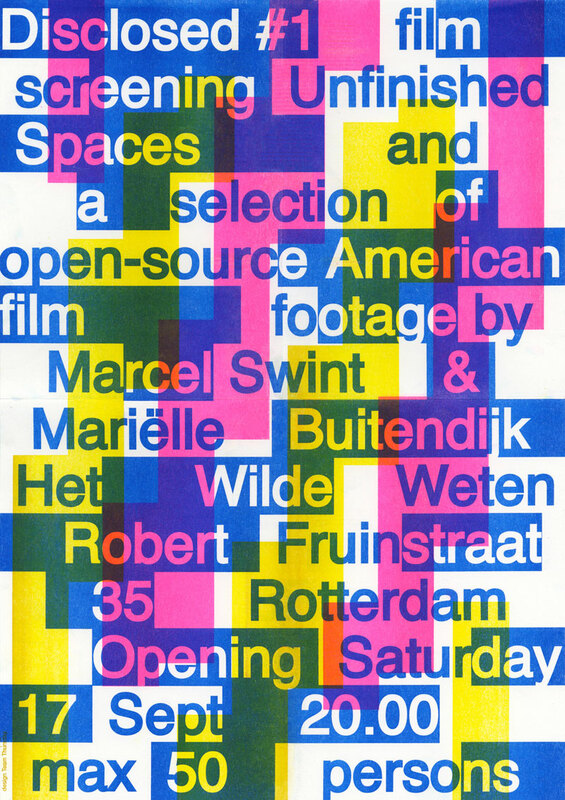 For the second edition Disclosed #1, Mariëlle Buitendijk and Marcel Swint will show a selection of film footage on American art from the early sixties until the seventies of the 20th century, preceded by “Unfinished Spaces”, a film about the art schools of Havana, Cuba. Het Wilde Weten has the right to show the film to a maximum of 50 people.